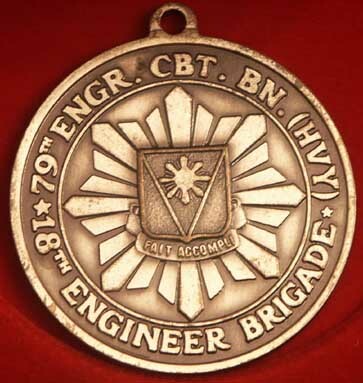 This is a challenge coin or medallion for the 79th Engineer Combat Battalion (HVY),18th Engineer Brigade. One side contains a crest with the unit designation information. 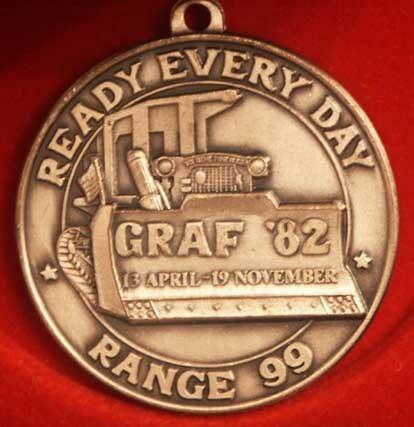 The other side contains the motto READY EVERY DAY/RANGE 99. In the center there is a bulldozer with an American flag. On the blade of the dozer is written GRAF '82 13 APRIL-19 November. It has some weight to it and is about the size of a silver dollar with an eyelet to allow it to be suspended or attached. This is a neat little crest made for Operation Desert Shield during the first Gulf War. 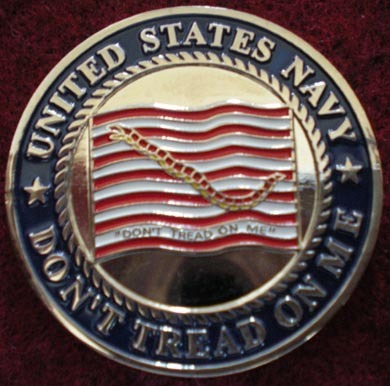 Although it was not official issue, it was made more for a novelty item by Vanguard, a government contractor. I am not sure, but would bet that some of these ended up in the middle east. It shows two camels in the desert, a jet fighter, a helicopter, and a ship. This one is brand new on the card of issue. 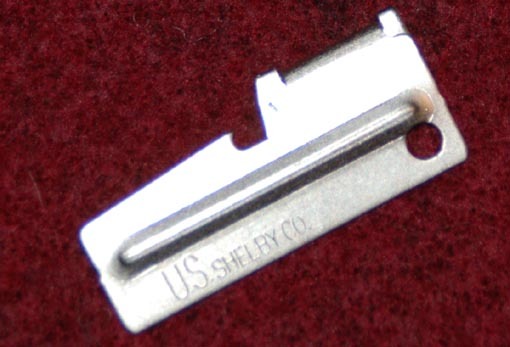 The reverse has two clutch back fasteners. A really neat item from that era. I even snagged one of these for my own collection. Please email me to check on availability and shipping costs. 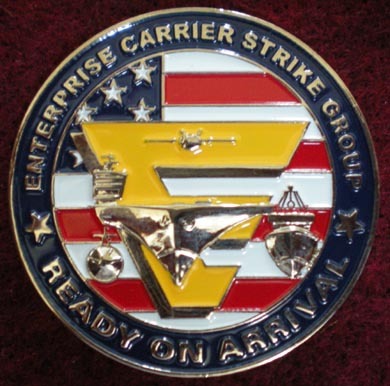 This challange coin is for the carrier strike group. One side shows a carrier, submarine, destroyer and a plane. The other a flag that states,"Don't tread on me." 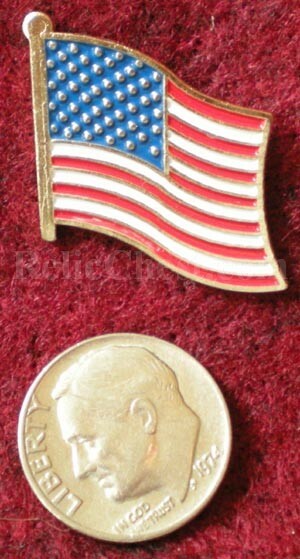 The coin is silver in color and has red, white, blue and yellow enamel work. A sharp looking coin! Please email me for availability and shipping costs. This is an inert .50 Caliber round. It has been drilled out and all of the powder has been removed. This makes it safe for display. I would not want to be on the receiving end of one of these bad boys. An impressive round and great for your display cabinet or desk! 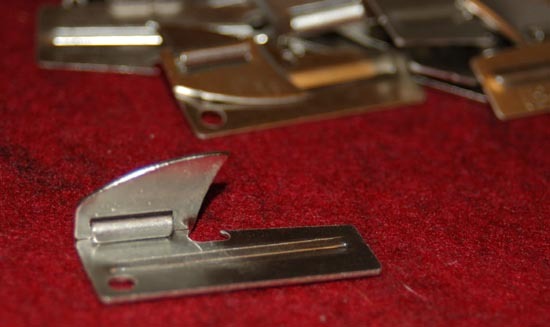 If you have ever been in the military, you should know about the tried and true P-38 can opener. 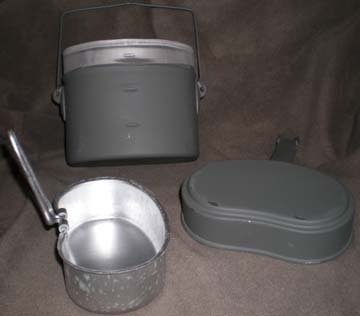 It used to be standard issue with your C rations. Now things come vacuum sealed in plastic or foil. These things are great in a pinch. Not your Ronco electric can opener, but it does get the job done...even if you have to work at it a bit. It is small enough to put on a key ring or tuck inside your backpack for a hiking or camping trip. I carry one on my key ring and it has come through for me more than once. There is nothing worse than having a can...wanting to get into it, but you can not. These are brand new and made to US government specifications just like they always have been. They measure 5/8 of an inch by 1 1/2 inches. 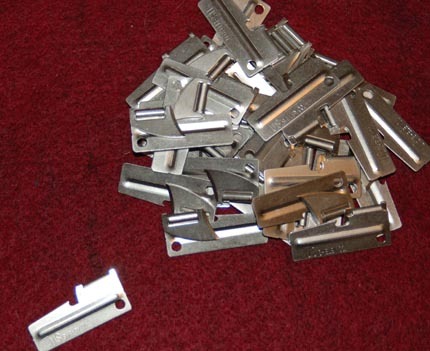 Grab a few for a survival kit or your next camping trip. You get 2 can openers for one price. Postage is included within the US for this item. 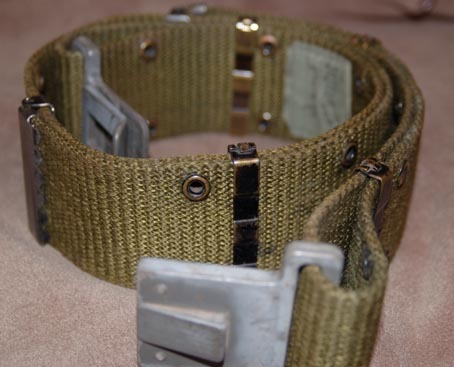 Here we have a BELT, INDIVIDUAL; EQUIPMENT, NYLON LC-2 in large. Large goes between 30 inchest to 46 inches. 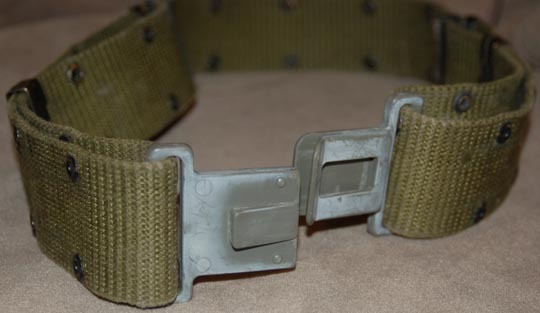 These belts were genuine U.S. issue. They are in used, but good and servicable condition. I have more than one, so the one pictured may not be the one you receive. All are in comparable condition to the one pictured. 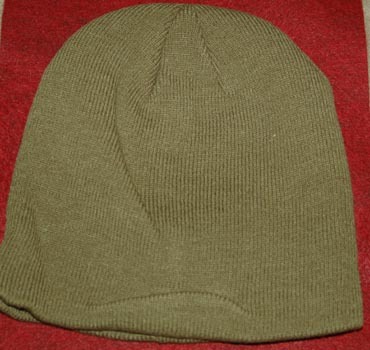 This is a brand new military style watch cap in olive drab. It is made from 100% Acrylic by Mil-Tec. I kept one for myself, as I am in search for the perfect winter cap. So far so good. 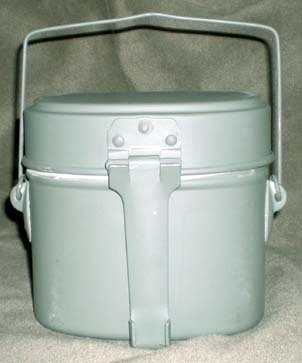 This is the cousin to the Third Reich mess tin. Looks are similar. This one has three pieces that nest within each other. Olive drab paint over aluminum. These are brand new. The one pictured may not be the one you receive. All are in equal condition. Items may have some pain chips from long term storage. Please email me for availibility and shipping costs. 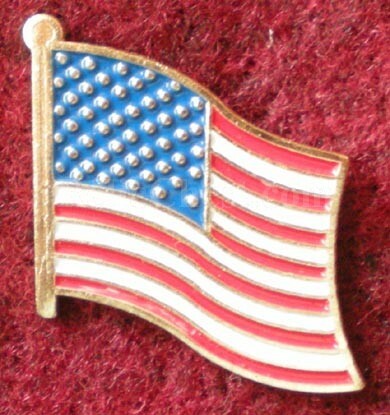 Show your patriotism by wearing this American flag pin on your uniform, hat, coat lapel or wherever you choose. 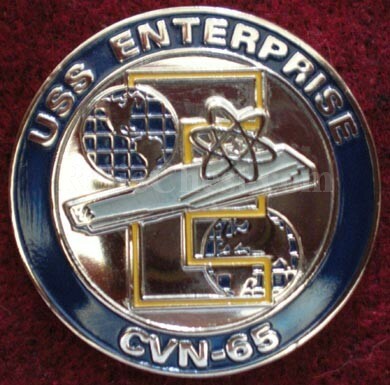 This is a nice quality pin. The surface is enamel, not a sticker like some of the cheaper pins. 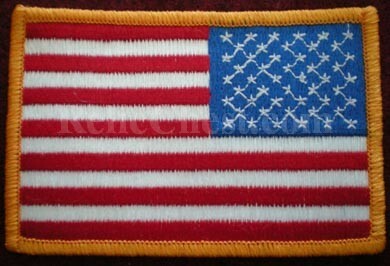 The patch is fully embroidered and measures 2 1/2" X 3 1/2". There is no velcro on the reverse. Please email me for availability and shipping costs.